A new, convenient health care option is now available at the COC. 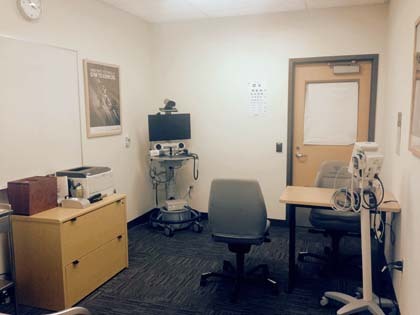 Come visit the new KP Care Now station that just opened at 5530 Overland Ave., 2nd Floor. KP Care Now replaced the Kaiser Kiosk and is now accepting appointments and walk-ins. You will be able to get the same services, at the same location. KP Care Now is staffed by a medical professional and you can visit with a Kaiser doctor through video visits. As a reminder - all employees can visit KP Care Now on Wellness Wednesdays for biometric screenings, this includes the screening required to earn their $100 incentive. Primary care video visits for Kaiser members will be offered Monday to Friday from 8:30a.m. to 4:30 p.m. Flu shots at no charge for Kaiser members will be offered Monday to Friday from 8:30 a.m. to 4:30 p.m. The County strives to deliver innovative health care solutions because employee health and wellness are top priorities. To learn more about KP Care Now or make appointment, visit Benefits on InSite.